Entrance : ONLY THIS TIME FREE. 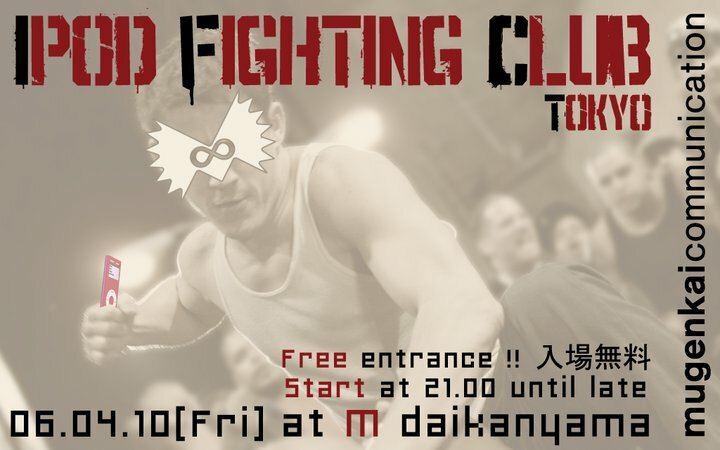 The "iPod Fighting Club" is a battle which going to take place at an underground space in Tokyo. 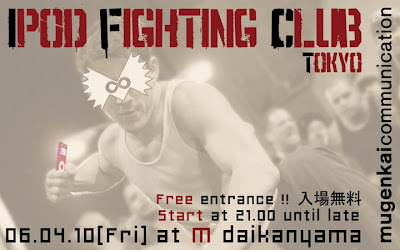 Bring your pm3 player, be part of the fighting club, WIN your BATTLE and GET the PRICE ! ANYBODY CAN PARTICIPATE, EVERYBODY HAS TO PARTICIPATE !! make the cloud horny ! 主催：PROJECT by TOY TOKYO ?/!